From the mood for outfits slightly more sinister versus the norm? Then my latest release is ideal! I present Shadow Heroes: four dark new suits inspired from the heroes of Gielinor! Each one of these shadowy new outfits takes inspiration derived from one of of four RuneScape heroes and adds an umbral twist on their appearance. There’s a unique hairstyle and weapon override accompanying every one, too! The cisco kid Ariane outfit comes including a staff override; the Shadow Ozan outfit having a bow. A hammer override accompanies the cisco kid Linza outfit even though the Shadow Owen outfit includes overrides for any longsword, shortsword, greatsword and shield! All four outfits are available now, so please visit Solomon's Trading post to get a closer look. If you'd like more RuneCoins, you can redeem Bonds in-game. 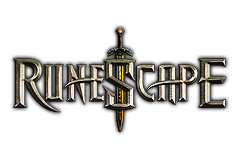 Alternatively, may buy additional RuneCoins on our billing page, or by clicking 'Buy Runecoins' within my store. Finally, do visit me in-game, just south on the Grand Exchange!